Is it possible to start an outdoor marijuana crop indoors? Weather conditions in spring can sometimes be whimsical. Indeed, it seems a good idea to start growing marijuana plants indoors before making them flower outdoors. It is possible, but one must take into account some issues in particular, which we will be described in this post. In spring, in western Europe, the hours of sun during the day (photoperiod) progressively increases every day, going from 12 hours of daily sunshine in March to about 16 hours of sunlight during the day in June. In July the days lenght begin to decrease, which facilitates the start of flowering of marijuana plants between mid-July and mid-August, depending on both the earliness of plants and the latitude where they are grown. To grow cannabis indoors, it is generally advisable to give marijuana plants a photoperiod of 18 hours of daily light (18/6 cycle). But what happens when we move a plant – that has already received 18 hours of daily light – outdoors in spring (before mid-June)? 1. The marijuana plant only receives between 12 and 16 hours of light per day, so this sudden decrease of the photoperiod can make the plant begin the flowering period in most cases. 2. 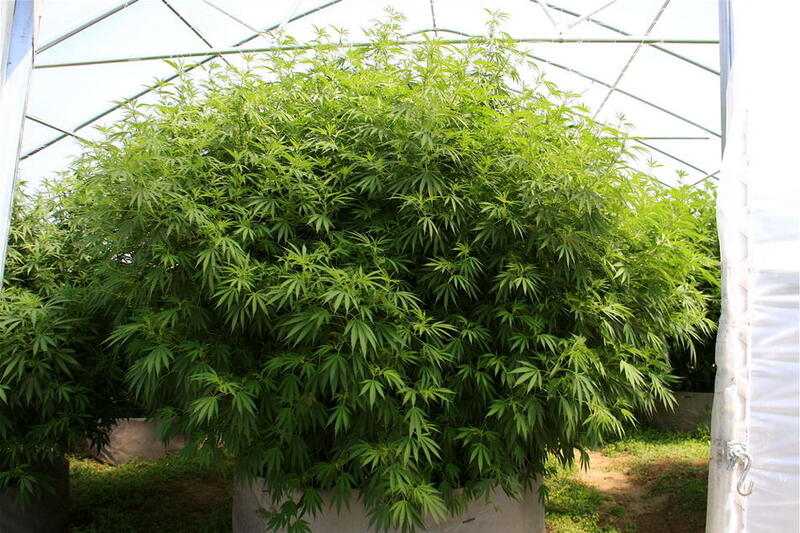 However, as photoperiod increases progressively each day (by some minutes) until 21 June, marijuana plants will stop flowering to go back to the growing period. This natural process, called vegetative regeneration, is both very long and very stressful for the plant. Plants will then form numerous deformed and abnormal leafs before starting to grow again several weeks later. 3. In July, days begin to get shorter and plants flower again, this time definitely. This flowering after vegetative regeneration will unfortunately be poorer in both quantity and quality. How to safely move plants outdoors? 1. Start growing your indoor marijuana plants as usual – in a 18/6 cycle – but waiting until the end of June to move them outdoors. 2. Start growing your plants indoors while following the outdoor natural photoperiod. For example, if there are 14 hours of light per day, give your plants 14 hours of light per day as well. When the natural photoperiod increases to 14-15 hours of sunlight per day, you will have to set your timer and add 15 minutes of light per day. This very straightforward technique will allow you to move your plants outdoors in spring! Note that these tips do not concern autoflowering marijuana strains , as they are not photoperiod-sensitive; if you wish, you can start your indoor growing (ideally giving them 20 hours of light per day) and move them outdoors whenever you like, knowing that they will flower anyway after 3-4 weeks of growth. What other precautions should be taken when moving marijuana plants outdoors? First, you should know that the plant will take some time to accommodate to the new environment, particularly because of light change and environmental conditions. This loss of vigor in the plant can sometimes reduce or even eliminate the benefits of starting the plant indoors. The strong sunlight, much richer in UV rays than indoor marijuana growing lamps, can be too aggressive for plants that were first grown under artificial lights. Therefore, it is not advisable to expose them directly to the sun, for they should progressively adjust to the sun; then, we should first place the plant in a shady area, and then give it more sunlight day by day. Due to the lack of an acclimatization period, plants exposed directly to the sun may show signs of burn or discolouration (bleaching) in their leafs. Thus, the plant will have to produce new leafs, which will further delay its regeneration. One last important point: while the plants are growing, phytohormones accumulate within their tissues (i.e. leafs). When days begin to get shorter, at the end of June, the level of the plant’s hormone that stimulates flowering increases gradually, day after day, at the expense of the level of growing phytohormones, which begins to decrease. 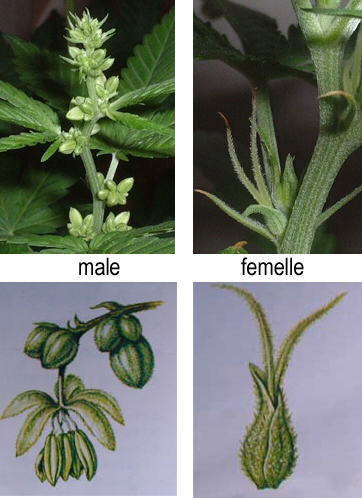 Flowering will only occur when the plant’s levels of phytohormones are adequate for flowering. This is the reason why the growing period outdoors is longer, so the plant will need more time to flower. As a consequence, this will delay the harvest time! Therefore, starting the crop as soon as possible is not always the best option. Some marijuana strains are well-known for their earliness, for they quickly start flowering from the time when photoperiod begins to decrease. For instance, it’s worth mentioning Early Maroc feminised seeds from Philosopher Seeds and Early Queen regular seeds from Mr Nice Seeds. Your case is really strange, I would really need a little bit more info. Are you growing indoors or outdoors? What type of seed? Is it possbile that these two plants have light contamination during the night period? It may be normal having some plants starting to flower and others still growing (variations on phenotypes), but having all plants flowering (8th week) and only 2 still growing isn’t. Naturally, these two are the biggest, since the others started flowering weeks ago and stopped growing, while these two are still growing. Usually, when moving plants outdoors, it is better to place the plants a couple of days on a shady spot, so they can gradually adapt to sunlight. Keeping this shady area humid will also help the plant to prevent dehydration. After 2-3 days, our plants can be placed under the sunlight without problem. Also, take into account the hours of daily light when you move them outside, depending on whether you want them to grow or flower. I started some AK-47 Xtreme? back on April 18th under 6500k florescent tube, 24 hrs. light. I moved them outdoors in May. Within a couple weeds one of my plants showed signs of budding, now a couple ft. tall & buds where limbs should be. A couple weeks later a couple more budded, although these have enough growth to have limbs. I have a couple more that have yet to bud, so obviously different types but all Indica dominant hybrids, all female this far. I now moved them into a temp. plastic type of greenhouse which I’m sure is changing the light spectrum due to its green tent. Last year my plants were plaqued w/ Blight, due to heavy morning dew & rain during the budding cycle. Bud Bugs & Spider Mites. I am now using a Hot Shot No Pest Strip to prevent pests & having to spray w/ toxins. I also have my plants growing in potting mix in weaved feed bags in holes in the ground. Although the feed bags I am sure are hindering root growth & the size of the plant it beats having ground burrowing varmints eat the roots. Also when water I can now just fill the holes which the bags are sitting in. I would have put the green house up earlier & put the plants directly into the greenhouse but didn’t want it to get battered & beatin in the spring storms. 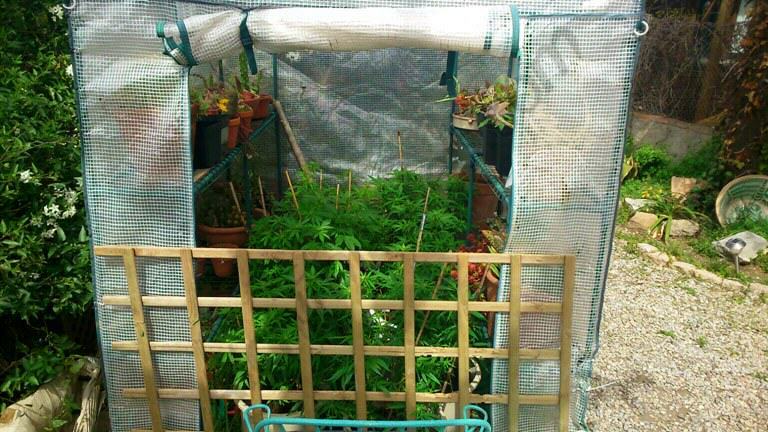 Pretty much when growing outdoors you gotta make due w/ what you got & the climate where you are growing in. Seed grower usually advertise about 60 days to mature, late Oct. So now Im wondering when my plants will reach full maturity. It not even the summer solstice yet & they’ve been budding around a month. Had months mixed up on previous comment. Started seed March 20th & moved outside on April 18th. I believe, should have wrote it down. If you start your seeds outside, plants will grow during the spring and start flowering at summer. On the other hand, if you start them indoors, with a 18/6 photoperiod, your plants will start flowering as soon as you take them outside unless it is June or later. This is due to the natural photoperiod. 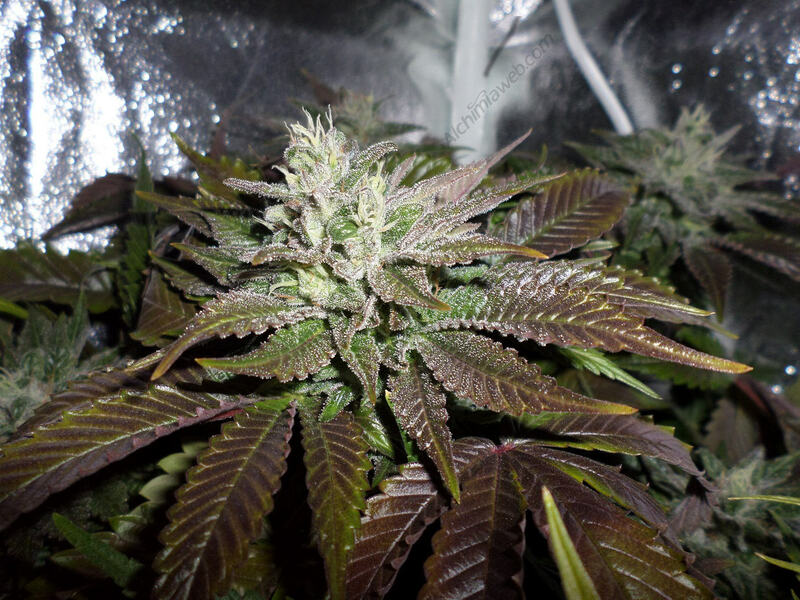 Some growers take clones or motherplants out on March, so plants start flowering and can be harvested before June, when they’d start to revegetate. So, if you want to take outside plants that you are growing indoors, you have two options: take them out on late February-March so you can harvest in May-June (plants don’t grow, they start flowering immediately) or take them out on June (or later) so they’ll grow until August and then start their normal flowering. A third option would be taking them out on March and put extra lights at nights so your plants don’t flower but continue growing. In June you can remove the lights and your plants will grow until August. Your plants will be OK, you don’t need to worry. What you should do is try to give them a similar photoperiod than indoors, what means that you should try to put your plants in the dark a few hours each day, enough for them to have 12 daily hours of sunlight. If you do this you’ll harvest your plants with no problem at all. If you take out your plants now, they’ll start growing again until August (approximately), when they’ll start flowering again. If you wanted them to complete their flowering cycle, you should’ve taken them outside earlier, by March. Especially during the first days, you should use a root stimulator so plants can develop a nice rootball as soon as possible. Using beneficial fungi like Trichoderma and Mycorrhiza also enhances growth. Also, use a growth fertilizer until it starts flowering, and place your plants in the sunniest spot you have. By the way, what happened to all your seeds? My Question Can you take an outdoor plant and grow it indoors cuz i wanna let it grow outside for 2 or 3 months and then put it indoors under the grow lights……Is It Possible that they can grow indoors and adapt to the New Environment From Being Outside? Usually, when moving plants indoors from the outside, we have several things to keep in mind: pot size (perhaps the pots used outdoors are too big for our indoor growing space), photoperiod (do you want to flower them indoors, or just grow them a bit more?) and pests (normally, there are far more insects in our outdoor garden than indoors. Beware not to introduce a pest in your indoor grow room from your outdoor plants!). First of all, you must notice that if you take your plants outside now, they’ll stop flowering and start growing again. You should wait until August to take them out if you only want them to bud. This is because plants grow with the current natural photoperiod, so you should wait around 2-3 weeks until outdoor plants naturally start flowering. If you put them out, it is always better for them to be in darkness for 24 hours: take them out at night so the next day they’ll start their new photoperiod. As you’ll take them out with strong sunlight (July-August), put them in a shady spot for a couple of days so they get used to their new environment. After these 2 days, put them on the sunniest spot you find. Hello! Interesting blog, I have some questions. I cannot force a 12/12 light schedule in the greenhouse because there are also other plants in the gh, plus the greenhouse is not “light proof”. My plan is to put the plants outdoors on the sunroof when they’re ready which would likely be in late September, or October. (Earlier than that it’s WAY too hot and the sun is way too intensive on the sun-roof, I am talking about 48C (110F) in the summer. Since we live in Spain, temperatures are not a problem. My question is whether this would work, whether the plants should start flowering as soon as I put them up on the roof? (Since the sunlight hours then will be shorter than the 18hrs I have in the greenhouse). But I am afraid it might be too late (would they even flower in October?? )….or they might get a shock from the different conditions? There is still plenty of sun on the sun-roof, even in Winter. Probably, your plants will start flowering as soon as you remove them from your current 18/6 light schedule and put them on the sunroof. If you think you could grow during spring/autumn, I suggest you read this article on off-season outdoor crops. edit: I mean temperatures in fall or winter on the sunroof wouldn’t be a problem. I started out doors. 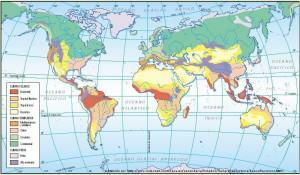 im in a climate in Asia where it stays hot all the time and doesnt have seasonal changes. is it a good idea to move plants indoors? the plants are big and fairly bushy but without buds. if i move them to a cool/dark spot inside will they start the flowering period and bud out? if so what times should i keep the photoperiod? First of all we should know the approximate natural photoperiod of your area (latitude). That would help us to know if you should start indoors and take the plants out or if you can start outdoors directly. Anyway, if your plants are out and they don’t flower you can try to cover them for 2-3 hours a day (coinciding with the sunrise or the sunset) so they have more hours of darkness. That would surely force them to flower. 40F is a really low temperature. You could use a heater for greenhouses at night (of course with a greenhouse), or try to put the plants inside at nights. You can also try products like Evoponic’s Liquid Heat, which greatly help plants to deal with colder climates. If you start your seeds indoors at 13 hours, they’ll not have a growth period but start flowering as soon as they reach sexual maturity (3-4 weeks). If you want really big plants, you should germinate them under a 18/6 photoperiod and keep them inside until May, when the natural photoperiod allows us to take our indoor plants outside to grow them normally, as any other outdoor crop. Another option, especially if you have a heated greenhouse, is germinating the seeds in March and place them in the greenhouse until April/May (depending on temperatures). When starting your seeds directly outdoors, it doesn’t change much starting them on February or March; if they have enough space for a nice rootball, they’ll grow big and tall even if planted later. I have blackjack feminine seed just planted using coco coir.my room has two window which sunlight shine into the room 8 hour on day time and i use LED and CFL light for another 9 hour . I may have a problem as the plant grow taller i may need to close the window mirrors and sunlight light will not be enough and i have to add on with the lights. Room will be hot 33c and will use aircond to cool the air down .all year round my place is like summer and a lot of rain so planting outside is impossible.Night will be around 25/26c. I was told because the uv sun that have been giving the plant it will be big and tall . I suppose you will stop using the artificial lighting as soon as you switch your plants to flowering and use only sunlight. Try to keep your room as ventilated as possible while you are not using the air conditioning. Ever thought of building something similar to a greenhouse? A plastic roof for your plants to grow outside? P.S. First time seed grower. Usual clone grower so very despret to germ around Feb.
Basically, seeds have the same behaviour as clones when vegging. They’ll grow non-stop under a 18/6 photoperiod, but will need around 3-4 weeks to reach sexual maturity and be able to bloom. If you want a regular outdoor crop (to be harvested in August/October), I would start my seeds indoors at around Feb and let them grow indoors until June. By the end of May you can place them outside on a shady area for a couple of days, after which you can put them under the sun. You can also perform a spring crop before the summer crop by germinating your seeds in December and put them outside in late February (you’d harvest by late May-early June). 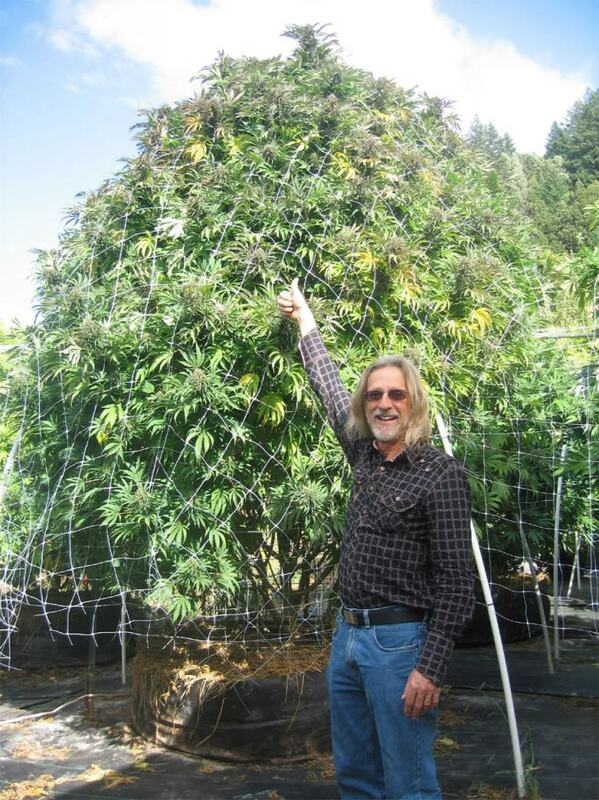 Here you have a post on off-season cannabis crops. Outdoor plants are much more resistant to bad climate conditions than indoor plants. Still, if outside temperatures drop below 15 degrees celsius, it is a good idea – if you can – to put them indoors until temps raise a bit (also if it is raining hard or there is strong wind). One thing though: as soon as your plants start flowering, you can continue putting them indoors (at nights, for example) as long as you don’t interrupt the night period of plants, so put them away from any light source if they are in their night period. -Spring crops: you can start plants indoors in December and put them outside (in a greenhouse preferably) by late February/Early March, so that they’ll start flowering as soon as you take them out. Plants will be ready to harvest by late March. If you try off-season crops, always use fast strains (mostly Indica hybrids) and, whenever possible varieties with high resistance to cold temperatures. You need fast strains because they have to be ready by late March, otherwhise they’ll start re-vegging. You can use either plants coming from a 18/6 photoperiod or autoflowering strains. -Summer crops: You can use autoflowering strains, which will be ready in around 70-80 days from seedling. If you plant on June your crop will be ready by September. Another option would be using early flowering strains, many of them are also ready by September. A third option, much harder, is flower forcing: you can plant seeds in March and start decreasing their photoperiod by June, so they’ll start flowering much earlier than with the natural photoperiod. This method is hard and requires plenty of dedication unless you have an automated system, since you’ll have to cover your plants for several hours per day and then uncover them everyday, so they have less daily sunlight hours. Usually, when moving plants outdoors, it is better to place the plants.when moving plants indoors from the outside, we have several things to keep in mind.First of all,you must notice that if you take your plants outside now, they’ll stop flowering and start growing again. If you take your plants outside now, in February, they will automatically start flowering, and that will happen until mid May (approximately). Unless they have a long flowering period, any strain taken outside in February-early March will end its flowering by May, when we can take new plants outside and start again for the summer crop. (All this in the northern hemisphere). Here you have a post on off-season cannabis growing. So when is the earliest that I plant outdoors from seed in ATL with out fear of pre mature flowering early? This was a handy article, thanks for that! I live in Australia where the longest day is 13hrs 40mins so i was wondering what advice you would give someone who wanted to start a few plants indoors and move them outdoors to veg as long of the spring and summer as possible? Should i have them on approx 13/11 until outside matches up with this light cycle, or should i maybe try 16/8 and drop the light cycle until it matches up with outside? I wonder if this will induce a sort of vegetative rejuvenation. From my experience, when I have days of 13hrs and 40min is in late April. This makes your question even more difficult, since with this photoperiod some strains bloom while others (that were flowering outside since late February) start re-vegging. Here you have a post in which I explain how I grow in spring, taking mother plants outside on late february and harvesting on May (N.Hemisphere). Here’s what I would do: I would try to plant from seed and directly outside, a regular outdoor crop (just to make sure that I’ll harvest some plants). I’d also germinate some Indica seeds indoors (perhaps with the 16/8 photoperiod), and take them outside in late winter (if I wanted them to bloom) or in late spring (if I wanted them to grow as much as they could before flowering). Sativas will probably start flowering as soon as you take them outside. Another option: grow your plants indoors as big as you want and take them outside when you know they’ll have an explosive bloom. 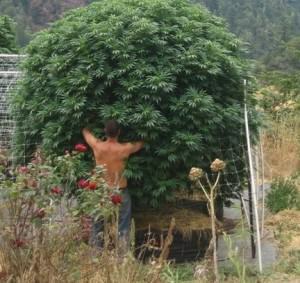 (This is what most growers from the Canary Islands do, since they have pretty much the same problem than yours). I’d love to be more precise, but I’m affraid you’ll have to do some trial and error process until you find a strain which grows (and not blooms) with your natural photoperiod. Notice that plants do not start flowering because they have few light hours, but because they have prolongued night periods. With a 13/11 photoperiod, your pants would flower, since the night period is too long. I have two plants that popped in the first week of February in Southern California. It’s the first week of March and they are approximately one foot in height. They have been growing outside all this time, and are now showing signs of flowering. They are both hybrid plants. My question is, will they continue to flower or revert to a vegetative state? What happened here is a bit strange, but happens sometimes. Probably, you started your seeds too soon; they have grown during February and, due to the natural photoperiod, have started flowering in March. I don’t think they’ll finish this bloom, I think they’ll start growing again in a few weeks. To avoid this, try to sow your seeds a bit later, by March. Thanks for your reply. I recently started growing weed again. It’s been about fifteen years! I always started in February with “bag seed,” and never had a problem with pre-flowering. Maybe just a couple of pistols here and there with indica dominant strains? I did some research yesterday, and found out that cannabis can flower with just slightly less than twelve hours of darkness. Over the the years growers have selectively bred plants to flower earlier and faster. Thus, many strains purchased through the internet have become more sensitive to light and darkness. In the future, I’ll start germinating in the first week of April! Glad to read that you’re growing again! Nothing like a good homemade bud!! In a modified indoor greenhouse set up in house ( think greenhouse with windows which have c. 1 foot wide supports/sheetrock/wood, paned French doors, two overhead skylights facing, 18 degrees South facing and West-facing, what woud be an appropriate indoor overhead lighting (florescents) schedule to apply for the month of April, sunlight coming from east, south and west somewhat from overhead skylights too. I do have a sunrise/sunset schedule for April, but don’t know how I can relate this to appropriate lighting for April, preparatory to setting them outside in May? I understand that you want to grow these plants in this greenhouse now and take them outside in May. With the natural photoperiod, plant would now bloom, so what you need to do is using some lighting system (Fluorescents, CFLs, LEDs. even MH or HPS) to force your plants to grow until May. You can do it by switching on the lamps a couple of hours before the sunrise and a couple of hours after the sunset, so your plants have longer days. Another option would be using the lamps in the middle of the night to “break” the uninterrupted night period of plants so that they don’t bloom but continue growing (they’ll grow less than with the first method though). I want to put some plants outdoors June 1st. Daylight is 15hrs 40mins darkness is 8hrs 20mins on June 1st. Should I have my timer set to match this time or do I need to match it to the outdoors during the entire period it’s indoors from seedling by keep adding time to the timer as daylight outside increases. Right now outdoors it’s about 13.5 hours daylight and 10.5 hrs darkness. Is this enough hours of light ? Or should I just match the timer to June 1st at 15hrs 40mins light and 8hrs 20mins dark? You can keep a 18/6 photoperiod indoors and move your plants outdoors in June without problem, they’ll continue growing and start flowering like any other outdoor plant. No need to match timers, your plants will be ok. Remember to put them on a shady spot during the first 2 days after moving them outside so they can adapt to sunlight. Hey I need some advise assp! The light is on 24/7. I originally thought about just using them for moms. They are about 3 1/2 to 4 ft tall right now but not bushy. I’m thinking about putting them in 30gal geopots and putting them outside? If I do what do I need to do so they will hit good? Or is it not worth putting them outside? Many people grow mother plants during the year and they take them outside in May-June, no problem at all. Although some strains are very resistant, I’d transplent them into your geopots and then put them a couple of days in a shady, humid area so they acclimatize. After 2-3 days you can put them directly under the sunlight. Try to use some kind of rooting stimulant after the transplant so your plants start growing asap. I’d also prune the tops of the plants so they develop more bushy. I’m growing god bud again this year trying my best to produce my own yearly supply. I wish I had read this thread early, and now feel like I may need to start one more batch of plants from seed to replace my current plants. I was growing indoors using 18/6 light/dark cycle, and as the weather improved and frost was no longer a danger I brought my plants into my hothouse. Some of my plants had started to flower but I thought this was because they were root bound. It now seems obvious this was just triggered by the change in day night periods. I was already on a second group of younger plants they seemed to be unfazed and growing really well. Now of course I have they very beginnings of flowers on my best plants outdoors. Firstly I want to know if I should pull those plants now and save the good soil for another younger crop? I can get new seeds in now. I’m just wondering if it’s possible that my God bud strain has become auto flowering and I just didn’t know better in the past? I have never had an amazing year with it but I have also always tried to get my plants out in May. The bud I do get is very good quality so I haven’t given up it. Last year I had a late start only got clones growing in July and grew start to finish in 3 gallon pots. The plants topped out at 3′ high some of them got really bad stretch because my hothouse is not temperature controlled properly(I also didn’t know above 36C was too much even for pot). I still got way over 7g-14g a plant which is all you can expect from an auto-flower right? Although your plants started flowering, the natural photoperiod in June will cause them to re-veg and grow again. Here you have a post about off season outdoor crops. Basically, if you use indoor plants (18/6) you have to put them outside in late February (so they can finish the flowering stage before June) or late May/early June (they’ll grow until August, just like any other outdoor plant). If your plants have nice buds, the best thing you can do is put new seeds and harvest your “old” plants as soon as they start re-vegging. If you take your plants outside now, they’ll stop flowering and start re-vegging. What you can do now is putting clones outside so they grow until August, when they’ll start to bloom. Great article l, thanks. I’m in the UK and have a few plants ready to go outside but have mistakenly had them on 24hrs of CFL light. I want them to keep vegging until they naturally flower. Should I gradually reduce the amount of light they are getting until its the same as outside before I plant them out? Or will they be ok to go out now? Thanks. With the current natural photoperiod, all plants that you take outside will grow untill late July-August, when they’ll start flowering. If you plant them out now, they’ll have less hours of light than they had indoors, but anyway the nights are still too short for plants to bloom, so they’ll keep on vegging. Try to put your plants on a shady area for a couple of days before planting them under the sun. I’ve got a greenhouse full of boo berry with a few (3) hash plants and deathstar. I put them outside the middle of may. Coming from 18/6 indoors. All of the boo Berry’s are flowering but the hashplants and dstar is not. They all went out at the same time. Should I be switching the nutes on the boos to flower at this point? Or am I at a loss? Some strains are more sensitive to others to photoperiod changes, especially in regard with night length. To make sure that your plants won’t start flowering, put them outside by June. If they started flowering on mid May, they must be almost done, aren’t they? If they’re about to be harvested, I’d try to end their bloom by using the light deprivation technique (put them 2-3 of hours on the dark every day at sunset/sunrise, making their nights longer until they’re done). If they still need some weeks and, at some point, stop flowering and start re-vegging, you can remove the “buds” and leave the plant growing throughout summer. If you take your plant outside now it will start re-vegging. You should wait until early August to make sure that the natural photoperiod will induce your plant to continue flowering. When you take your plants outside, they normally need a few days to adapt to the new environment, but yes, if you take a plant out that is half into bloom (for example, into the 4th week of a 9 week strain) it’ll need about 5-6 weeks to ripe. If you have a nice climate, you can try off-season crops during spring and autumn to supplement your main summer harvest. I’m surprised to hear you say that it would reveg , I’m new to the game but I’ve got a few others outside that have sexed, not flowering the way the one under the 12/12 is. but they have sexed. I live in ohio btw. I’ll keep them under the lights inside untill Aug, One thing I thought about and I wanted to get your opinion. What If I kept it in the 5 gal bucket, and Brought it ouside at 8am. then put it back inside the shed at 8 pm, keeping it on the 12 hour cycle. would that keep it from reveging? Thanks man. Well, it obviously depends on strains, but I wouldn’t take this risk and I’d wait for a couple of weeks. One the other hand, of course you can do as you say, this technique is called light deprivation and is widely used in large crops with automated greenhouses. I’ve used it to start the bloom of plants before they should start it, so I can harvest them much earlier than the rest. Works great! I’ve got several different strains that I started in February and March in a greenhouse and put outside in April and May when they outgrew thier pots. All of the plants were mature and I used light interruption for about 20 minutes a night until June 1st, then I left them to the natural light cycle. Everything stayed vegging, but In the first week of July about half started flowering. So this was a month after I stopped shining lights on them in the night. It’s been about 2 weeks and they’re budding some are half veg half flowering, but most are full flowering. I guess the light would be low enough now that they’ll all flip to full flower and finish in September? Do you think this was just a very early strain? Plants here usually start in August. What are your thoughts? Thanks! Since you have a greenhouse, I recommend you this post about off season outdoor crops, it will help you to perform up to 3 outdoor harvests per year!! Hi it’s me again. I started in March and transitioned outside smooth and safe with minor light burn. I have huge TREES and I had made clones too that are outside. It’s late July and I wanted to know if I put my vegging clone inside total darkness for 24 hours and force it to start to flower can I bring it back outside to continue flowering under our All Mighty SUN…? I wanna flower clone before the other cause I’ve got quite a few huge TREES in 15 gallons smart pots. Flower during summer it gets really hot…..
Flowering indoors during summer is really difficult unless you have a good a/c. This is what I’ve made several times: I took my mother plants out on early June so they keep on vegging. On late July I take clones and, depending on what I want, I put the mother plants inside again or I root the clones inside and leave them in my veg room (which is what I usually do). I don’t want huge plants, so after taking clones I normally prune and train my mother plants and leave them outside, always trying to keep them below 5 feet tall. About your question: your clone is now growing outside, if you leave them in total darkness for 24 hours you’ll send them a signal to start bloom. BUT, if you take them out again now, with the current photoperiod, you’ll send them another signal to grow again. You should a)Leave them outside until they start bloom. b)Put them indoors and take them outside when the natural bloom photoperiod starts. c)Use light deprivation techniques so that your clones start flowering outdoors asap. This last option means covering your clones (at dawn or dusk) for 2-3 hours, enough to add a few dark hours to the natural photoperiod. As soon as your plants detect longer nights, they’ll start to bloom. Logically, as the natural bloom photoperiod comes you can stop covering your plants and they’ll keep on flowering until harvest. I’d need some information about your growing conditions. Still, keep in mind that Sativas take longer to ripe than Indicas, so they need more care especially during the bloom stage. You probably won’t have to worry about fungi since Sativas are usually resistant to fungal infections, although take care of temperatures especially at night. Here you have an article on the main characteristics of Sativa strains. Need to move plants just starting to flower landlord wants them gone.will they survive suggestions ? We’d need some more info on your plants…are they planted outside? On pots, or directly in the ground? If there is a way to move them to another spot, there won’t be any problem. If they’re planted outside in the ground, you can try to make a big hole with a shovel and put the root ball in a large container. Some roots will die, but if the hole is big enough (50-70cm diameter) I think your plants will survive. Just transplant them into larger pots and move them to a safe spot. Hi, I have a problem. My outdoors ak47 are 6 feet tall now, last weekend of August. No buds in sight. I live in a northern climate and now our frost is getting close. Goi g down to 10 degrees at night. I do have a green house 15 min drive from the plants. How do I safely move them?…. I really don’t want to kill them. Normally, your plant should have started to develop buds a few weeks ago…Do you have some type of light source near your plants at night? Plants need uninterrupted night periods to start flowering. Are your plants in pots or planted directly in the ground? If they’re in the ground, I guess the only way is digging a hole around the main stem (the larger the diameter, the better) and transplanting the plants into containers (just as you’d do with a small tree). Then you can move your plants with a vehicle to the greenhouse. I got some great advice from you before, hopefully you can help me again! I have some Durban Poison outside flowering and nearly ready to harvest. They still need another week or two but the night temperatures are getting low with some as low as 5 degrees, but mostly about 7. Day temperatures are about 12 to 15 degrees. Would it be best to harvest now or hold off for another while until they are finished flowering? We have several options here. The ideal would be using a small greenhouse and some type of heater for greenhouses. You can also try to put your plants inside every night (if they’re planted in pots), but it is hard and you can have issues with molds if the interior space is not properly ventilated. However, and keeping in mind that you’ll be harvesting in about a week, I don’t think you’ll have any problem if you leave them outside. Either way, and if you have a good space for growing, I’d really think about building a greenhouse, it is something that will help you every year. I live in Chile and i have a biddy early growing indoors under 18/6, it’s a 3 week seedling (just grew up its 5th set of leaves) and I want to move it outdoors now that the climate is better here. The doubt I have is that right now we have 13 hrs 30 min of light during the day and will increase from now on until february when it will start to decrease again. What can I do to make the transition easier and less stressfull for my plant? Should I change my timer from 18/6 to 13,5/10,5 now? Do it gradually? Hope you can help me thank you!! If you take your plants outside now they’ll start flowering. Being a Biddy Early you’ll probably be harvesting it by mid January. There’s no need to switch the photoperiod, just take your plants out and put them on a shady place for a couple of days. After that you can put them under direct sunlight. The point is: you want to put the plants outside as soon as possible, otherwise they could start re-vegging during bloom. This post about off-season crops could be helpful for you, just keep in mind that it was written for the northern hemisphere. I live here in Costa Rica, by the beach so the weather is great. We have 12/12 light cycle all year around here. Since the weather is so good, do you think I could veg my plants by leaving them outside to receive 12hours of light and as soon as that’s done each day I bring them Indoor under CFL lights for another remaining 6 hours, so it completes 18hrs of light each day (veg cycle), and when I want to flower just put them outside for 2 months without bringing them in? That’s perfect mate, it will work without a doubt!! I planted my seedlings on january 5th and they are on a 12/12 cycle, 7am to 7pm. Can i keep them on the 12/12 cycle until april 1st and put them outside without flowering? Thank you for your time. You’re using a photoperiod for flowering plants, so your seeds will start flowering as soon as they reach sexual maturity. You should use a 18/6 photoperiod in order to keep them growing (18 hours of light, 6 hours of darkness). If you don’t want your plants to flower outside, you should wait until late May to remove them from your indoor garden, otherwise they’d start flowering since the natural photoperiod is still too short. Put them outside on late May / early June and they’ll grow and bloom like any other outdoor plant. Check this post about off-season crops for further information. I’ve been growing indoors for two years with great success. Now that Maine has legalized marijuana I want to try outdoor this summer. In Maine June 20th is about 15/9. Days start getting shorter. We get our first frost around late September. I could never go from seed to bud outside in our summer because our last frost is around the first week of June. If I start them inside May 1st, 3 weeks as a seedling and 4 weeks of vegging, then bring the outside around June 20th, will this work? Yes, it should work. With a 15/9 photoperiod your plants will start flowering as soon as they adapt to the outdoor environment, a few days after you put them outside. They should be ready before the first frost comes unless you’re using strains with very long bloom period. So glad I found this site. I am a first time grower and am having issues of course. Flowering period: ~ 50 days. I germinated in straight coco coir. All popped and started off great. They are seven days old now. In that time, they stretched about 2 – 2 1/2″ and two have collapsed. I am repotting them today and burying the stems deeper to hopefully prevent any more of them collapsing. I started these indoors to transplant outdoors as soon as possible. I have no indoor lights whatsoever. I have them in solo cups on a window sill that has direct sunlight from around for about 6 hours a day. I’m hoping to use the sun and not any artificial light if possible. We are having 13 hours days right now. I could put them outside, but temps are in the mid 80’s and a bit windy and they are still very fragile. My question is, I’m worried they are stretching because of the need for more sun. I feel they are too fragile to move outside yet. Should I get some CFLs and put them on an 18/6 cycle, or put them outside? I’m very confused. Any help would be truly appreciated. Thanks. Hi Jason, thanks for trusting us with your question. The temperature sounds pretty good for your latitude and time of year, and a bit of wind won’t do seedlings any harm as long as you can ensure that they don’t dry out. In any case, Spring has definitely sprung and conditions will quickly improve. You’ve chosen some very hardy and resistant outdoor genetics there, and they ought to do really well outdoors in almost any conditions, I grew some a couple of years back, they’re originally bred outdoors in Denmark and can take almost anything you can throw at them! If your plants have germinated under natural light then I wouldn’t change them to 18/6 light schedule under artificial lights, as it may stress them. As you’ve deduced, they are probably stretching due to lack of light, so personally I would move them outdoors but if you’re really not sure about the conditions, maybe invest in one of those cheap plastic mini-greenhouses sold for use on balconies or patios, that should give your plants the protection they may need over the next few weeks until you feel conditions are good enough that they can be outdoors without any shelter, and it’s also probably cheaper than getting CFLs, and certainly uses less electricity! I hope that helps, good growing! My plants have been in veg for 5 months and they are outgrowing. They are lemon skunk. I have various options for planting outdoor. Maybe a green house with a dim light? If you have the option of moving your plants to a greenhouse with additional lighting, I’d do that. Just give them additional lighting until the beginning of June and from that point the natural photoperiod (hours of daylight) will mean they will grow normally throughout the season and start to flower as the hours of daylight reduce in late summer. If you’re going to grow out the male plants, you’ll need to move them away from the females before they start to flower, unless you want all your buds seeded. If you want to make some seeds, keep the males in a location as far away from the females as possible, collect pollen from the males and apply it to selected branches of your females for a controlled pollination. Remember that seeds will need between 4-6 weeks to fully mature, so be sure to time the pollination to allow for this. You also mention that you have a few fragile and unhealthy plants, this could well be stress due to the 24 hour light schedule you’re using. Plants don’t need, or want 24 hours of light, it’s completely unnatural. In future try using 18/6 or 19/5 schedules, that way the plant gets maximum growth but also gets much-needed darkness to enable it to break down the carbohydrates/starches produced by photosynthesis to fuel their metabolism and promote healthy growth. Thanks tim! I have many options and im not sure which will be the best for producing the most buds. I would have to make shift a green house which is possible or I can acclimate them to the sunlight and plant outdoor fully. Which do you suggest would be the best for my plants, they have been in veg too long over 5 months, but if possible to keep them in veg and grow even bigger outdoor then flower, maybe that would work? Thanks for a speedy response you guys are helping me already. maybe the easiest thing to do would be to move them outside to a semi-shaded spot for a couple of days to acclimate them to the sunlight, then you can put them in their final spot in full sun so they can get even bigger over the growing season and begin to flower in mid-august. I think at this stage of the year (Mid May) the plants will be okay outdoor and not start to flower, but any additional hours of lighting that you can give them over the next week or two will ensure they don’t start to flower early and mess up your plans. Good luck! I assume you want your clones to grow outdoors until they start the bloom phase naturally in summer. If that’s the case, you should NOT reduce the photoperiod, but put them on a shady spot (outdoors) for a couple of days so they gradually adapt to sunlight. After these 2-3 days you can plant them in the ground and they’ll start growing until they detect a decrease in daylight hours, when they’ll start the bloom phase. I’ve had plants under 24/0 photoperiod and put them outside without problems, always from June onwards. Still, and as you say, it’d be better if you drop it to 18/6 for a few days and then take them outside. In this way, those plants specially sensitive to light/darkness hours will have it easier to adapt to the new environment. Hello, I just took clones and I want them to grow outdoor, whats the best time to move them if I just want them to flower. Its mid june I live in co. I do not want to use my halide light because of electricity cost. If you move them outside now, they’ll grow and start flowering just as any other outdoor plant. The more you wait to move them out, the less they’ll grow before bloom. No need to use artificial lighting now (you’d have needed it if you’d have moved your plants outside before mid May/June). Thank you for responding to all the mail to help everybody out ! My friend bought some plants at a dispensary and planted them outside to soon and started budding out , then they went back to growing . My question is will they start budding out again in August or not bud out at all ? He lives in live in nor cal ! The plants have changed leaf size to big and fat and some have curls on the ends but are still growing ? This works for the northern hemisphere. Thank you he will be relieved that his plants will bud out and not go to waste ! I received some indoor plants from a friend. I left them in the shade for 5 days and I now want to get them into the ground. The plants are about 3 feet tall and were potted in a black soft material( it is not a hard plastic). Do I need to cut this mesh off b4 transplanting or do I keep them in the original housing. I guess you have your plants in some sort of fabric pot. Simply remove the plant from the fabric pot and transplant it into the ground, just as you’d do if your plant was in a plastic pot. Of course, if you find it too messy you can always cut off the fabric and transplant your plant. You said when the plants regenerate and then flower again the product is of lower quality. What about clones from a flowered plant? Do they produce lower quality than clones from plants always grown with continuous light since germination? Taking clones from plants in flowering is hard, although it can be done. Once your clones have rooted and start growing (once they’ve switched from bloom to growth), they should produce the same product than the mother plant. Hi great info. I’m in Australia and have indoor tent that’s only two or three weeks of harvest. Problem is I had a fallout wuth a mate and am worried about getting busted. I have 9 plants 600w 12.12 cycle. Here the days are getting longer but can I put them out to finish as they ar so close? Hi Simon, Glad you’re finding our blog useful and thanks for you question. Sorry to hear about your falling out with a mate… these situations can be complicated and it’s why you’ll find a lot of experienced growers won’t tell anyone about their grow, not even their best friend! Security first! Anyway, I think you’ll be fine putting them outside, I’ve done the same thing here in the Northern Hemisphere and the rule of thumb I go by is that as long as they’re finished by 15th May, they shouldn’t start re-vegging. So for you down under that date will be roughly 11th November, so you’ve got plenty of time! Be sure to watch out for any strange behaviour like intersex/male flowers appearing, some plants react badly to the photoperiod getting slightly longer each day, get stressed and throw out a few bananas. I’ve found it’s actually a great way to stress-test genetics to see if they’re worth holding on to and working with for the future. You can do so, but your plants will surely be stressed during the process, and they’ll need some extra time to adapt to the indoor environment. Can’t you build a small greenhouse to cover them? That’d be great! Otherwise, your plants will not produce much bud but lots of resin, which of course can be used to make concentrates or edibles. For next year’s crop, I’d stronly recommend to build a greenhouse and use early flowering strains. You can also put some heaters in your greenhouse if necessary. You’ll normally smoke females only. Males produce very few cannabinoids and terpenes and taste like hemp. Hermaphodite plants are smokeable, but they’re normally seeded and it is hard to get good quality. Sinsemilla females are what you want to smoke! Hi there, we are trying to decide when to set out clones. We are in northern CA, USA. At the beginning of May, the photoperiod is 14 hours of light. Should we slowly change the light cycle in our veg greenhouse (has supplemental lighting) to 14 hours, and then set them out May 1? To clarify, May 1 is our preferred date for planting, for a variety of reasons I won’t get into here. I have heard from other growers that plants will begin to flower, however, when the light cycle is less than 15 hours of light. Hi Ryan, thanks for your question. My thoughts… from my experience here at 43ºN, May 1st is a bit early for planting out, in my garden I’d wait until the middle of May, having found that 14.5 hours daylight is more or less the cutoff point. Maybe I’m just erring on the safe side though. Is there any way you can rig up some supplemental lighting outdoors for a couple of weeks? It wouldn’t need to be much, from what I’ve heard, a single 90w lightbulb for every 100 square feet will be enough to keep them in veg if it’s switched on for just an hour in the night to break the dark cycle. Of course, other factors can influence whether or not plants start flowering: genetics can be a major factor, and fast-flowering strains are more likely to start blooming early, but plants are also more likely to be triggered into flower if they have become rootbound leading up to transplant. I’d look into some form of outdoor supplemental lighting of you absolutely have to plant out on May 1st, just to be on the safe side, it’d be a shame if they started flowering and didn’t veg out the way you want them to. All the best, happy growing! 45°N oregon – lucky i found Alchimia’s post because everyone here seems to have never done what i thought was common. start indoors because of harsh/frozen outdoor weather. i ONLY want to start indoors (regular, feminized) and continue vegetative outdoors. i have questions i don’t see asked in Alchimia’s research article. i have no space, have 3 light banks, trays set up in LIVING ROOM. 1. what effect will 60 watt household lights have on the plants light cycle? 3. household light NOT direct but reflective off walls illuminating the plants? 5. i have 3 light banks, grow trays (2’x4′), next to each other, i love to make 1 tray and autoflower 24 on but i’m sure i couldn’t block out all the light, i could only drape up some semi black cloth shield. do you think this would work? 6a. the grow shops each say a diff procedure. after reading Alchimia’s report, i would choose making the INDOOR LIGHT TIME = to sun light time then we won’t have any problems? only 2% of the reports i’ve read even mention this so i wonder why? would the plants not grow well or high indoors with the natural sun light cycle = to T5 fluorescent lights i have? 6b. what height would you estimate plants getting to following natural light cycle? the trays are next to 8’x5′ windows facing south/sun plus i have one 2’x4′ 8 bank T5 over each tray. 6. my area had a freeze end of may 2017. not safe to move outdoors until june. cannot flower inside, the smell is too strong. thank you Alchimia for a great article! I doubt that any additional light will be a problem during vegetative growth. Remember that many growers veg with 24 hours light. At the worst irregular timed additional illumination may provoke mild light stress, leading some plants to show any intersex characteristics they may have, this saving you the trouble of weeding out hermies at a later date, or missing them completely and ending up with a seeded crop. I don’t see any need to use a dark cloth or anything else to protect the plants from light. For the last five or six I’ve started off all my seeds in a living room as your suggesting doing and i’ve never had any problems. Having said that, I wouldn’t do autos on 24 hours light cycle, at most I’d use 20 hours light, personally I believe plants benefit from some darkness each day. as far as the height of the plants, well that depends on many factors: the genetics, fertilisation, plant health, illumination. It’s obvious that a sativa-dominant F1 hybrid will grow taller quickly as opposed to an inbred line Indica plant. If you can’t move the plants outside till June, I wouldn’t germinate too early, keeping the plants indoors in less than perfect conditions for too long will affect their health, and they may take longer to recover outdoors than younger, more vigorous plants. Also, if you’re moving the plants outdoors in June, you shouldn’t have any problems with them going into flower early, especially if growing from seeds as opposed to clones. I hope that’s cleared things up for you, all the best and happy growing! I want to move some clones outside how long do I keep them in the shade before putting them in the sun? Hi Sally, thanks for your question. At this time of year (in the Northern hemisphere at least) the sun isn’t too harsh, so they shouldn’t need too much time to adapt. I like to have them in a shady spot for a day, then a day or two in dappled shade (under a small tree or a shade net) until I move them to full sun. All the best, happy growing! I want to start seedlings indoors and plant outdoors after the frost date, may 15th. what light cycle should I use for the seedlings? Hi Jack, thanks for the question. I’d use an 18/6 photoperiod for the seedlings. Hope that helps, happy growing! The day light and lenght of dark are almost the same, but not perfect 12/12 as somewhere exactly at equator. 1. After cloning, can i move my baby plant to outdoor grow for (veg) stage? 2. Can i grow cannabis all year around? Hi Tom, thanks very much for your questions. Sounds like a very exciting grow project! To answer your doubts, as the plant is a landrace that’s accustomed to the local photoperiod, you should have no problems moving the cloned plants outdoors for a good veg growth period. As far as temperatures and photoperiod go, you ought to be able to grow outdoors throughout the year, depending on when the wet season is, of course. Personally I would try and find out when any local farmers plant their seeds, and learn from their seasonal patterns for best results. Your answer is very informative, help me a lot. Glad to hear it Tom, many thanks for the feedback! and let me know what you think? I'm growing for Post Concussion symptoms and a spinal injury. These clones need to be watered. How do you recommend I check the PH of the water if necessary at this point? What do you recommend I use to adjust it? Do you recommend using an H20 filter at all (using municpal water)? I'm also concerned about transplanting them. Any thoughts on grow setup? This will be my first grow. Trying to keep things somewhat basic but would like to have a nice first grow as well if possible. The current amount of daylight in Southern California is 14 hours. Not sure if I should keep them in the shade some of the day or just give them all the sun they can take now. Hi Tony, thanks for your comment and questions. Unfortunately I can’t get the youtube vids to work, there doesn’t seem to be anything when I open them. Anyhow, to answer your doubts, firstly you can measure pH either with a cheap liquid testing kit or for a more professional solution, you can buy a battery operated digital pH gauge, which will offer a more accurate reading. As for the water, it depends on how far you want to go, if you’ve only got a few plants then you can leave the municipal water to sit in an open container for a day or so which will allow any chlorine to evaporate off. However if you have a lot of plants to water and you want a more effective option you could invest in a Reverse Osmosis water filter system which will clean the water of any impurities. As for setting up the grow, I’d recommend placing the plants where they will receive the maximum solar exposure, although for the first few days after moving them outdoors, I would definitely use some kind of shade to allow them to become accustomed to the strong sunlight and its light spectrum, different to that of indoor grow lamps. But once they’re used to it, they’ll eed as much sunlight as possible to allow them to express the full potential and give a healthy and heavy harvest. If you’re worried about transplanting, I would recommend planting during the afternoon, once the day has cooled down a little. This allows plants to to settle in over night and establish themselves a little in their new home before having to del with the heat of the following day. Some kind of temporary shade shelter can be very useful for those first few days, to save plants from the stress of hot sun while they get established. I hope that’s some help to you, all the best and happy growing! Hi Tim….I REALLY enjoyed all the read and comments made. Nice to see intelligent questions and answers. Very impressed !!! I’ve put at least 60 hrs of education in over the past 2 months..this was by far the most fun with an A+ education…thanks again !! I’ve taken 10+ years off …a friend had a few extra clones…so dusted off the ballasts…found my MH and HPS and off I went. About 2-3 weeks before taking down 2 White Widows. I forgot how relaxing and fun growing is !! Things have changed a lot over the many years…especially seeds. So I’ve been enamored with educating myself. I really needed some help on moving a clone to the outside. Back in the day I’d toss 3 clones in a 5 gal bucket..throw em on the deck for the summer just for fun. All the while using my grow room inside. I decided to get more serious on understanding the plants which I how hit this thread. I live in Massachusetts….A friend has an extra clone…(maybe 9″)….but grow room occupied with WW for a few more weeks. Why not toss it outside on the deck. But understanding length of daylight brought me to search out info. You answered ALL my questions along the way. Exactly what I was looking for. Most importantly…loved learning to transition slowly to outside by utilizing shade for a few day !! Love to learn…. Even more important was your recent comment that I was really digging for……. you said “was erring on the safe side”….14.5 hrs of daylight was the cutoff point where bloom/veg was safe. That gives me about a week and then can put the “free clone” outside. A most valuable piece of info !! I’ve also learned along the way my motion light will screw up the bloom cycle….but have couple months to work on that. I can even carry container (will be using smart pots now) around corner of house at night so won’t be affected by light kicking on from woodland creatures on my deck. I really appreciate all the intelligent info you share. Of course EVERYBODY has an opinion about weed….but your info seems to register with confidence to me. GREATLY APPRECIATED !!!!! Hi River Rat, Big thanks for your comments, I’m really happy that the information has been useful, that’s exactly what we’re here for! All the best for the season ahead, I wish you a bountiful harvest! Oh, and yes, good call on the motion sensor light, I wonder how many outdoor growers haven’t made the connection between plant problems and light pollution? Best wishes and happy growing! I’ve got plants in veg that are various sizes. 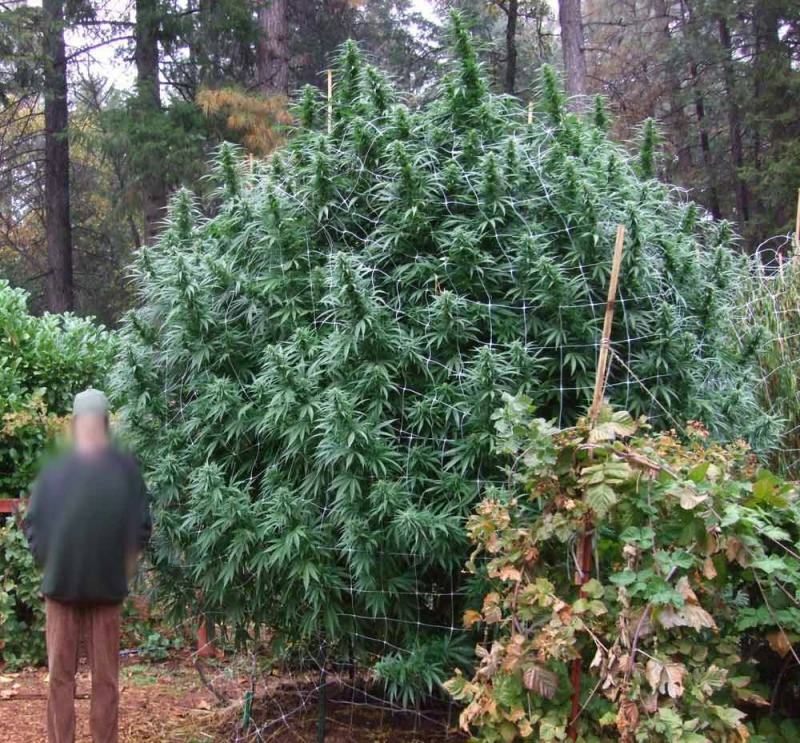 I want to plant six of the big ones outdoors. Right now the lights come on at 6 pm and shut off at noon, to reduce heat I run them at night. My question is can I take them from this light cycle and begin hardening them in the shade for a few days before being placed in direct sunlight? This would invert their day/night cycle, completely opposite of what they are because sun comes up here at 600 or seven A.M. and is down at 7pm or 8 pm. Give or take a little time. Sooooo….. my idea is to run my veg lights on 24hr period for a week or so before the hardening in the shade. I think then they will be wanting the dark to come and ready for it at any new time I choose. Hi Ryan, thanks for your question. Myself, in your position, I wouldn’t put the plants to the 24 hour light schedule beforehand. In my opinion that’d be stressing the plants twice, and anyway, no plant is designed for 24 hours light! I think I’d just change the lights indoors to match what’s going on outdoors asap, then at least when you move the plants outdoors they’ll be used to the photoperiod and you’ll only have to worry about hardening them off. My personal feeling is that after a week of 24 hours they’d be pretty stressed and the additional stress of moving them outdoors might really set them back and not get them off to the best start. Once you do move them outdoors, then yes, it’s best to harden them off in a semi-shady spot, gradually moving them into full sunlight. I recently made the mistake of taking a few plants from under a T5 fluorescent lamp straight out into full sun, and they did not respond well. Two weeks later and they’re just about recovering. Lesson learnt! All the best for the outdoor season, happy growing! Hi Karlo, sounds like a good plan. Hope it works out for you and you manage to harvest without problems, all the best and happy growing! I am told if I do 18/6 indoors they will flower immediately since it’s like 14 hour days the plants will sense the darkness and be triggered to flower sooner then early. I was told to mimick the outdoor sunlight for my indoor lights so that would be 12 hours 30 mins of light indoor and increase 10 mins every five days until I put the plants outside so they won’t feel a big change and keep vegging! If you have ever tried this please let me know thank you! If you’re planning on putting your plants outdoors from mid-May onwards, then don’t worry, they won’t start to flower until mid-late August, when the day length is 14 hours or less. You can keep your plants indoors until then on a 18/6 light schedule, and as long as they don’t get root-bound, they shouldn’t start to flower. They will get nice and big over the next three months too, you should get a good sized harvest. If you have them at anything less than 14 hours light they’re going to start to flower, so I wouldn’t recommend copying the outdoor light schedule at this time of year. As long as you’re putting the plants outdoors in mid-May, I’d stick to 18/6 to make sure things go without any problems. This is especially true of plants grown from seeds, as opposed to clones, which can sometimes be triggered to flower a lot easier. I started my seeds now and would like to move them outdoors in mid-May. In mid-May I have 15 hours of daylight. If I use a photoperiod of 15/9 was it good? Hi Gabriel, thanks for the question. Yes, that’ll work fine, however, unlike the case with cuttings/clones, there’s usually no problem with moving seedlings outdoors into a shorter photoperiod than they are used to, they are unlikely to trigger to flower, and even less so from mid-May onwards. Most plants will need to have less than 14 hours of daylight to trigger flowering, and it’s even fine to move most clones outdoors at that time of year (although clones of some particularly sensitive varieties may need to be put out a little later to avoid triggering early flowering). Personally, I usually start my seedlings in April under 18/6 photoperiod and then put them outdoors in mid-May with no problems at all. I think you’d be fine doing the same thing, although if you want to err on the safe side, your original plan is fine. The plants will just grow a little more with 18 hours of light as opposed to 15 and will be a little larger when you put them outdoors. I hope that’s helped, all the best and happy growing! Hi… My seed sprouted 10 days ago… I want to transfer outside later on… Im in southern California.. When do you recommend me to transfer outside??? Hi Angel, glad to hear your seed sprouted fine. Really the only factor stopping you from putting your plant outside is the weather, and as you’re in SoCal I don’t think you’ll be having too many problems with that! I’d wait until the plant is a bit bigger, let it grow a little more under lights indoors, then once it’s got a few sets of leaves you can place it outside. For the first few days, try and situate it in dappled shade, or at least not full sunlight, this allows it to adapt to the string solar rays rather than get shocked and stressed which will hold back its growth. I hope that’s helped. All the best and happy growing!